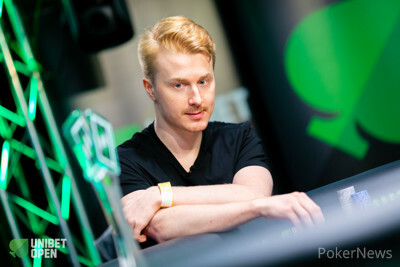 Henri Piironen raised to 225,000 and Daniel Jacobsen defended. Both players found something to work with on the :::Qc:::8c:::7d flop. Jacobsen checked, Piironen bet 225,000, Jacobsen check-raised to 700,000, Piironed three-bet shoved 3,500,000 and Jacobson instantly called it off. In what was by far the biggest pot of the tournament, Piironen needed to hit one of the nine clubs left in the deck, but neither the :::4h on the turn nor :::Kd on the river was what he needed. 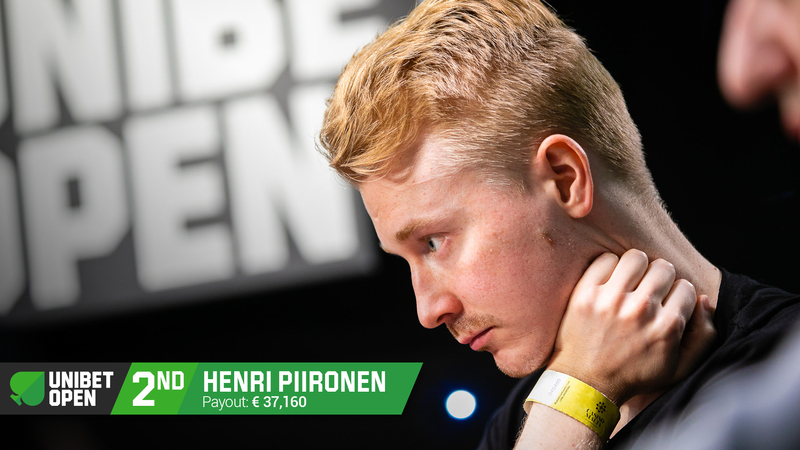 Henri Piironen’s bid at the Unibet Open title ended in second place and the Finn received €37,160 for his accomplishment.